Will Obamas New Lifeline Catch Any Fish? 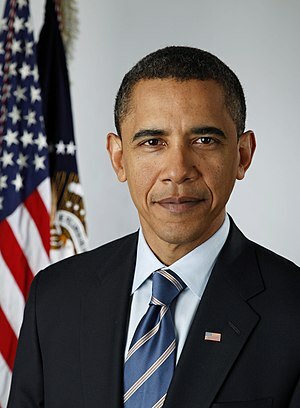 President Obama announced changes in the HARP program today, aimed at allowing more homeowners to refinance their homes. But will it work? We all know that many homeowners have lost their homes to foreclosure in recent years and many more are unable to afford their mortgage payments. Part of the problem is that interest rates on existing mortgages are high. Many homebuyers purchased homes with a loan that started out with a low (teaser) interest rate which increased after a couple of years. Most of these buyers planned to refinance when their interest rates were raised. The problem is that this house of cards came crashing down. Home values plummeted. Although many homeowners can qualify for a home loan, their home is now worth less than the balance of the loan. Even though their payments would be lower if they could refinance the loan at today’s interest rates, which are in the phenomenally low 4-5% range, they can’t refinance. Banks won’t loan $150,000 on a home that’s worth $100,000. So the government stepped in with the Home Affordable Refinance Program (HARP). One of the provisions was that homeowners could refinance up to 125% of their home’s value. Hundreds of thousands of homeowners have refinanced through HARP, but it’s not enough. Obama is trying to reach out to those who still couldn’t refinance due to being under water on their mortgages. This time the plan is to remove the loan cap of 125% of the value of the home. But how many homeowners will go for it? Owning a home is an emotional and personal decision, but it’s also a financial one – even when it’s the home you live in. Under water homeowners face a difficult choice. Walk away from their home, damaging their credit in the process or stick it out. The cost of sticking it out is really no higher than they expected when they bought their home. They knew the price of the home when they bought it, they expected to pay the mortgage for a few years until they could refinance. They probably didn’t expect interest rates in the 4-5 percent range, so although their refinance was delayed, the interest rates are worth it. What has changed is the opportunity cost. If they choose to walk away from their home they can stop paying mortgage payments, instead pocketing the money. When they finally have to leave they can rent a home for a few years while they rebuild their credit. Rent is likely to be lower that their current mortgage payment, but the income tax benefits they’ll lose could be significant. When they are able to purchase a home again, will the values be significantly higher or lower than they are now? If a homeowner doesn’t expect homes to recover their value in that time, walking away may look like an attractive option. Still, there are homeowners out there who are still making payments on their mortgages with interest rates of six or seven percent, or even higher. They’ve already tacitly agreed to stay in the home and make good on the loan. Reducing the interest rate, and therefore the payment amount can only be a boon. If they are willing to say out loud that they’re willing to pay more than 125% of its value for their home. Brookfield Homes offers new homes in San Diego. Buy a brand new home at today's low interest rates.